Bandai Namco Entertainment has started offering pre-orders for Taiko no Tatsujin Nintendo Switch Version! on the Nintendo eShop in Japan. Thanks to the beginning of pre-orders, we have learned a few more details about the game. First, Taiko no Tatsujin will require 3.1GB of space when downloaded on Nintendo Switch. The game supports both Joy-Con and Nintendo Switch Pro Controller, and it’s playable in TV Mode, Tabletop Mode, and Handheld Mode. Up to 4 players can play together via local wireless, while up to 2 players are able to play on the same system. Finally, we’ve also received confirmation that the Japanese version of the game will support Japanese, Traditional Chinese, and Korean. An English patch will be released on August 9. 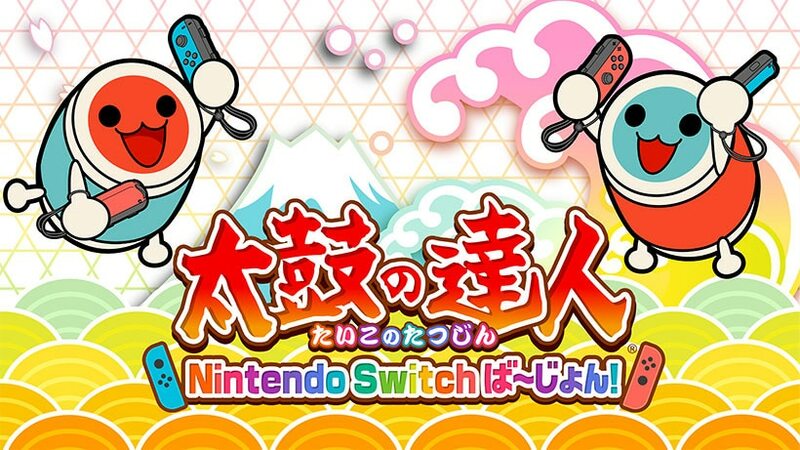 Taiko no Tatsujin: Nintendo Switch Version! launches July 19, 2018 and is available to import on Amazon Japan.